July 1, 2018 at 10:37 am. 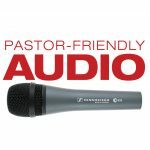 As a person focused on spiritual leadership, figuring out the right audio gear to buy for your ministry might not be at the top of your priority list. However, for most churches, it really matters. Buying the wrong audio gear can be one of the most costly and painful missteps you can make. Notice I didn’t say “expensive” — I chose the word “costly,” because it goes far beyond dollars and cents. The wrong gear can cost you and your team precious time and focus, cause unnecessary frustration, and, in some cases, even interfere with the effectiveness of your ministry. Here are some recommendations to guide your decision-making. In Jim Brown’s seminal work, Why Churches Buy Three Sound Systems, and How You Can Buy Only One, he hypothesizes that many churches waste more time and money over a series of inadequate sound systems before finally purchasing the one they needed from the start. This is due to many factors, such as insufficient building planning and a lack of understanding your team’s needs, coupled with the allurement of cutting corners to save money. Brown recommends seeking the advice of an audio expert who understands both the science of sound and available, affordable options to help address your room’s unique audio challenges. Some might argue the low-cost option is obviously the best; however, good stewardship doesn’t mean always opting for the cheapest solution. It’s a process of careful and informed consideration, with a clear understanding of your objectives, and a view to what lies ahead for your ministry. Equally, worship is a moment worthy of our very best — but that doesn’t require the most expensive gear; it’s about maintaining balance. 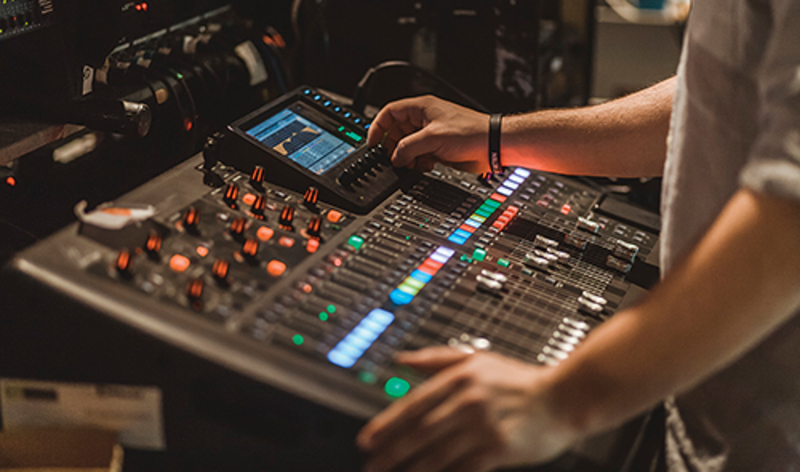 In the case of audio equipment, good stewardship is maximizing the useful value of the solution you are purchasing across the longest amount of time that solution can serve your ministry. For most churches, funding resources are a barrier to acquiring the audio equipment needed to meet growth and ministry vision. It’s not unusual for finances and urgency to be out of alignment. Fortunately, like most technology, quality audio gear with advanced features is more accessible than ever before and available at substantially lower cost. If you haven’t looked into updating your audio gear for a few years, there are likely better options available now with fuller feature sets and at considerably lower costs. Additionally, several helpful financing options are available for churches. Sweetwater can help connect you with several reputable firms that specialize in helping churches finance equipment for ministry. Finding the right partner to work with you is as important as choosing what gear you are buying. Great partners are more likely to maintain healthy relationships with their customers and can provide a consultative sales experience, several flexible payment options, free tech support, and a quick response to warranty and service requests. For example, Sweetwater provides a free 2-year warranty on most products, regardless of the manufacturer’s original factory warranty. It’s important to maintain realistic expectations about the service life of your equipment. We would all love to buy audio gear that lasts 30 years, but that’s not reality. Most people understand this when it comes to their computers or smartphones, but they often expect much longer service times from their audio equipment. For example, most wireless microphone manufacturers expect their equipment to last about five years. If you’re working with wireless microphones older than five years, it’s probably time to upgrade. In the end, the value and benefits you realize from your audio system directly correlate to the training, skill and confidence of the team operating it. It’s important to budget time and money for routine training for your team — staff and volunteers. Check with your Sweetwater Sales Engineer for helpful team training resources. Another important cost to consider is routine maintenance to keep your equipment in top working order. That means your team needs to have a solid understanding of what is required to keep your equipment functioning at peak performance to avoid unnecessary service outages. Andrew Scriven loves the church. For nearly 20 years, he lived in Dallas serving in virtually every production role within the church. 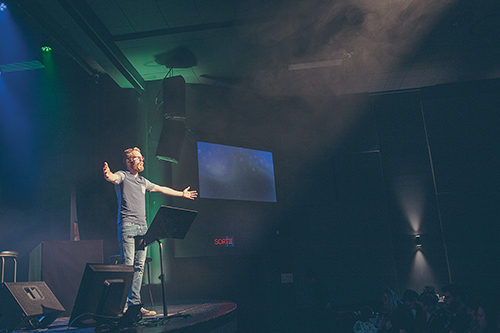 Since 2014, Scriven has served as the Director of House of Worship Marketing for Sweetwater Sound and works to build the Sweetwater brand within the worship community. Sweetwater Sales Engineers can help guide your team with unbiased recommendations from their vast collection of solutions to help solve your room’s challenges. They can also connect you with competent local acousticians and installers to ensure your new sound system is installed properly and performs as expected. Call (800) 222-4700 for more information.